Quite like Kate Middleton, Meghan Markle doesn’t do things by halves and that includes dressings like a supermodel royal for events, just like she did for last night’s Endeavour Fund Awards in London — an event which recognizes injured or ill members of the Armed Forces who’ve used sport and adventurous challenge as part of their recovery and rehabilitation, according to Kensington Palace. 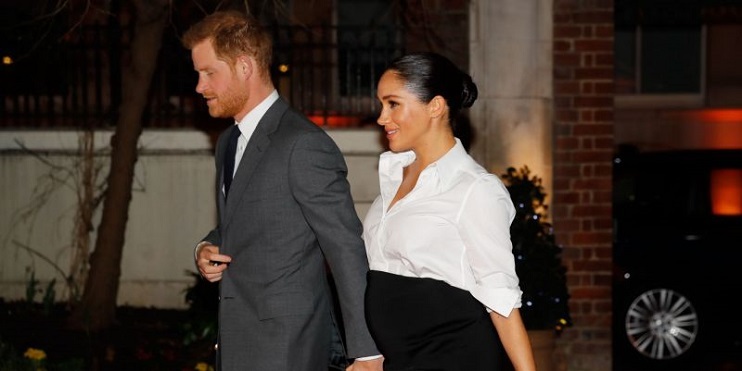 Stepping out for the event, the Duchess of Sussex looked elegantly chic opting for a Givenchy look which consists of a white button-down shirt, slit black skirt, finished off with black pointed-toe mules and clutch. When it comes to glamorous formal attire, the Duchess really does rule the roost, as you can tell from this incredible look! We’re obsessed with the entire look — from the color combo, the rolled up sleeves, to the subtle slit and the neckline of the shirt, which added interest and oomph for the mom-to-be. Plus her accessories, Meghan ensured her look was one-of-a-kind. 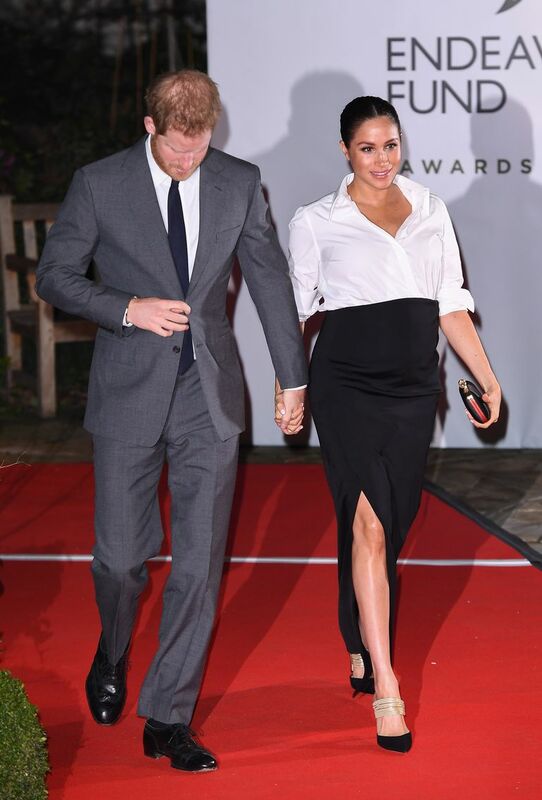 And not to overlook the Duke, Prince Harry also looked especially sharp, clad in a slate gray with black shoes while holding hands as they strut in the auditorium.